How often do we start out of the gate fast and furious – a new relationship, job, weight loss plan, business idea, etc. – only to lose enthusiasm months, weeks, or even days in? This happened to me recently. I met a guy about a year ago. At first it was good. We talked on the phone for hours. He cooked dinner for me and even fixed my plate. Of course I reciprocated. About four months in all that changed. Talking on the phone for hours everyday turned into talking on the phone for minutes a few times a week. The dinners stopped and the invitations to come visit and spend time together went away. Of course that relationship ended shortly thereafter. Starting is great. A lot of people never will, but the transformation is in the finishing. One of the most popular strategies for relay race teams is to have the second fastest runner start the race and the fastest runner run last. The coach doesn’t let the slowest runner finish the race. 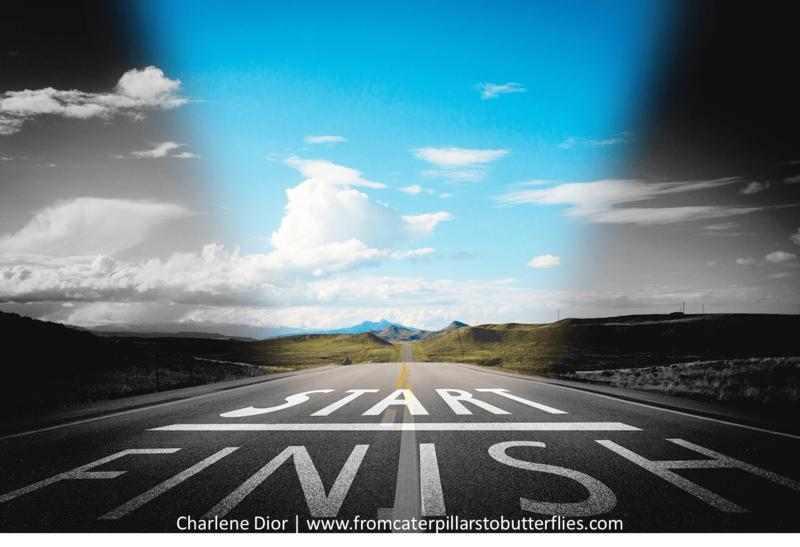 He doesn’t say, “Hey, let’s finish behind where we started.” No, his goal is to start strong, but finish stronger. This is how you win the race. Whatever commitment, enthusiasm and effort you put in in the beginning should be the same as what you put in at the end. Actually, there should be even more commitment, enthusiasm and effort in the end. We tend to put our greatest effort and attention in at the beginning. We go above and beyond. We make sacrifices for what we’re working towards. We stay up late and wake up early. We give 200%. At the end we’re barely even trying. We’re barely giving anything of ourselves at all. As a result we never reach the finish line. We never accomplish the thing we set out to accomplish; the thing we said we wanted most. The relationship is in the tubes. The business flatlines. The weight comes back. If you start a weight loss plan and go hard for a week before ceasing all effort will you lose weight? No, not in a noticeable way. It’s not to your advantage to give it everything you got in the beginning and then quit. You don’t gain anything significant. You take two steps forward and three steps backwards. You lose the time, money, and energy you’ve invested. Your effort doesn’t compound and multiply. Every time you let the momentum die down you have to start all over from scratch. Sure, you’ll learn from the experience and insert more self-help jazz here. Ultimately, it is not in the best interest of your ideal life to be a weak finisher. If it’s worth starting well it’s worth ending well. Don’t forgo your greatest desires and goals for your life because of a weak finish. “…we will reap in due season, if we faint not.” (Galatians 6:9). Be like the relay team. Start strong but finish stronger. The life of your dreams depends on it. Need support? Sign up a a complimentary, private clarity session with me to discuss how partnering with me and can help you finish strong. When you finish strong nothing is unobtainable. Reserve your spot here –> www.transformwithcharlene.com. Next story Do You Realize You Are Meant to Transform?